No Feedback is an immersive theatrical event that combines cutting-edge human rights research and physical theatre. Set in a near- future world, it is performed by six identically-dressed women who move fluidly in and out of roles, blurring the lines of power, responsibility, agency and manipulation. With no seats available, the setting demands that each audience member engages directly with the performers, the instructions they give and the information they share. They are led through a series of tests and games by the performers who are in one moment helpful and friendly, in the next unsettling, as the gentle pull of discrimination that tears at the fabric of everyday life is gradually introduced. 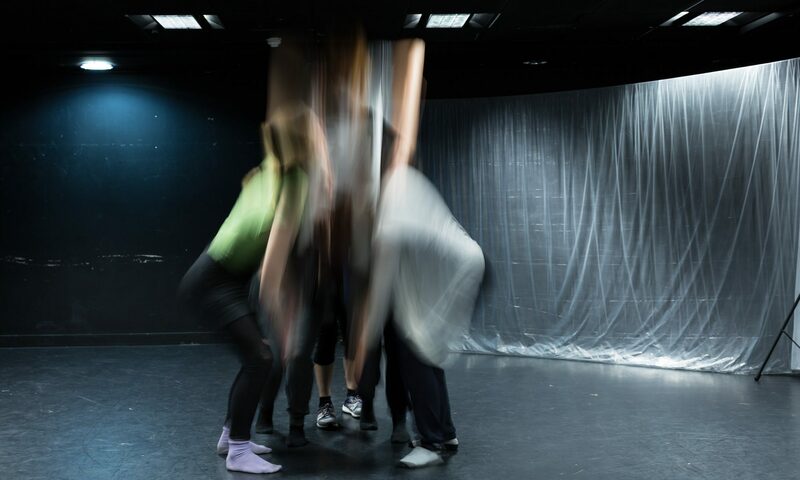 The piece is centrally interested in the space of collaboration between audience and performer. As such, the performance includes space for discussion, reflection and the exchange of ideas from audiences. Using the 10 Stages of Genocide by Genocide Watch as its underlying framework, No Feedback has been created in partnership with leading human rights charities. No Feedback is a living, dynamic, personal monument to all those who have suffered at the hands of genocide.